In honour of the World Mobile Congress in Barcelona and in order to increase awareness of the mobile industry´s marketing strategy in Asia ,Margaret Chen, Senior Advisor for the Telecommunication sector and member of EADA´s IAB (International Advisroy Board) gave a master class today at EADA. An IT engineer from Shangai Jiao University and with a Masters in Industrial Engineering from Tennessee Technological University, Margaret has 20 years of professional experience developing telephone businesses like Telefónica, in China, her country of origin. During the conference Margaret explained to participants the key principals of success in her professional career as Corporate Director of Telefonica in China. 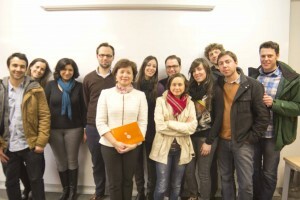 Additionally she explained the trends in new technology and the strategies of ´smart cities´in regards to this.